Entries tagged with “Erika Obermeyer”. 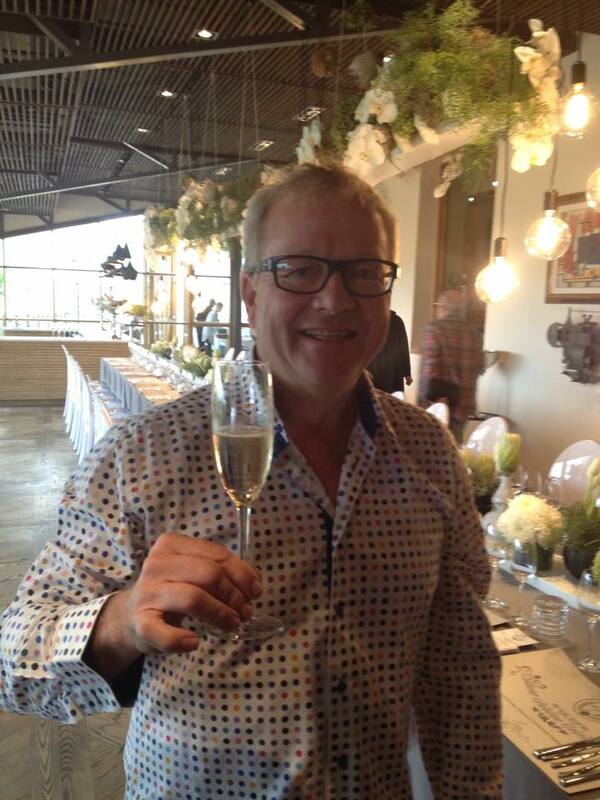 2014 FNB Sauvignon Blanc Top 10 announced at Nitida, Neil Pendock gets some of his own medicine! 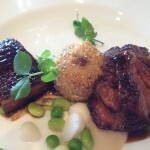 I have not been to Nitida wine estate in Durbanville in a long time, nor to its Cassia restaurant. 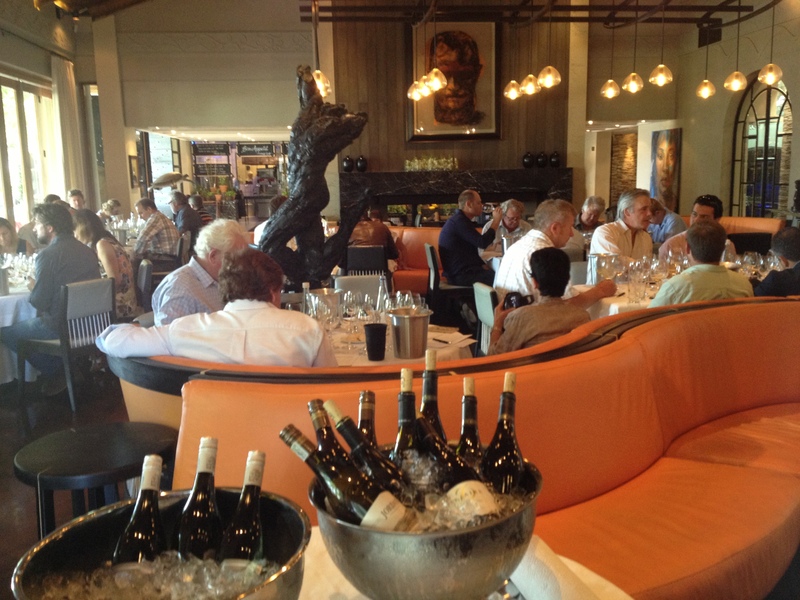 As the FNB Top 10 Sauvignon Blanc awards were held at the wine estate, it was a good opportunity to revisit, and to experience the new function venue, which comfortably seated 120 guests for lunch yesterday. 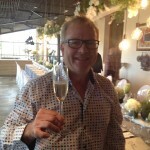 Graham Beck Wines’ Ad Honorem range honours excellence and Mr Graham Beck! 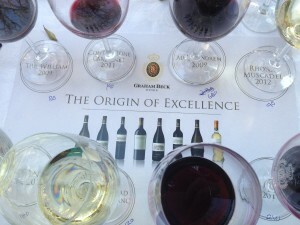 ‘Excellence‘ is a word that forms part of the Graham Beck Wines’ pay-off line ‘The Origin of Excellence’ for its Still Wines range, and the company is true to its promise, in that its wine making as well as marketing activities attest to this. While the ultra premium wine range is dedicated to the founder of the company, the late Mr Graham Beck, it also is a tribute to the fine wine making skills of the Still Wine Cellarmaster Erika Obermeyer, and the Marketing team’s excellent quality presentation of its wines, demonstrated in a series of three functions they had organised last week with the most perfect summer weather (in the middle of winter). The tastings were once again held at the Camps Bay Retreat, a magnificent location overlooking the waves crashing at Glen Beach. The company has an incredible knack of choosing excellent weather days for its functions! 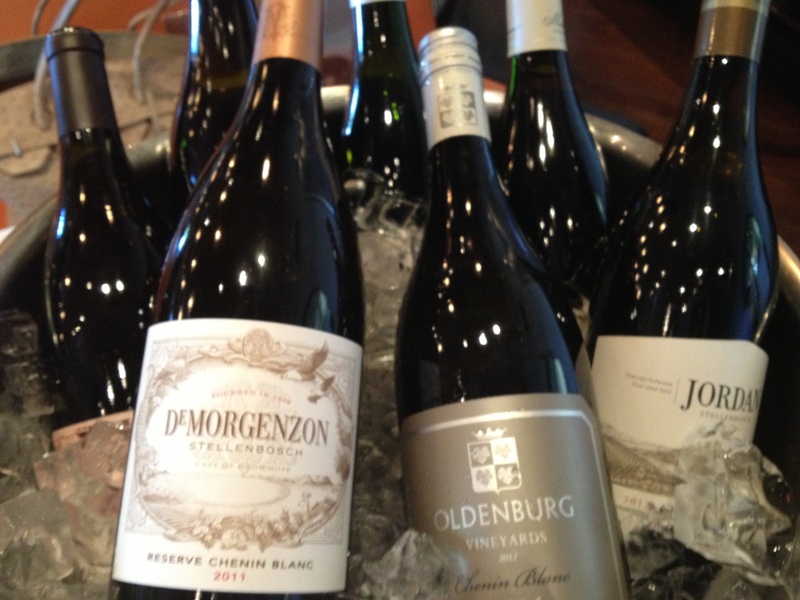 SA wine drinkers should thank winemakers for their affordable and quality wines! 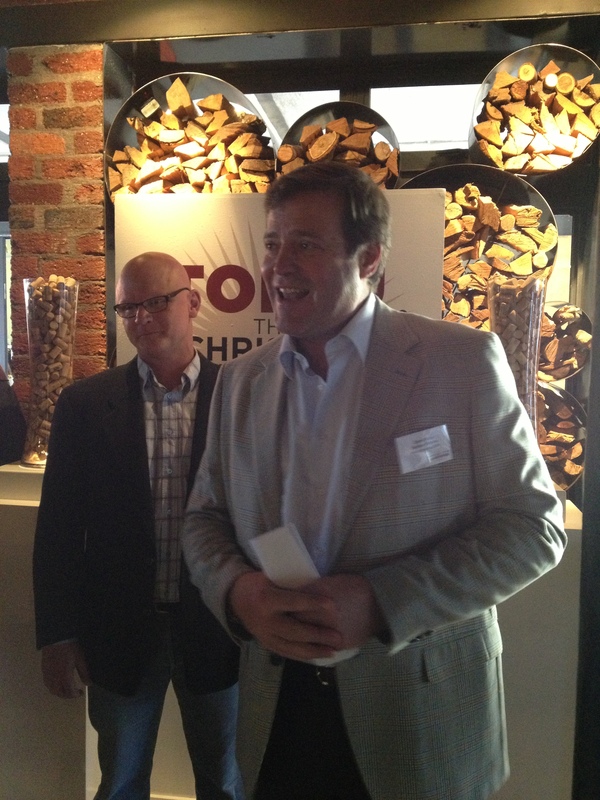 Welcoming the guests attending the Christian Eedes Cabernet Sauvignon Report 2013 at Burrata on Thursday, sponsor Sanlam Private Investments CEO Daniël Kriel said that South African wine drinkers should thank our winemakers for producing such good quality wines at affordable prices. 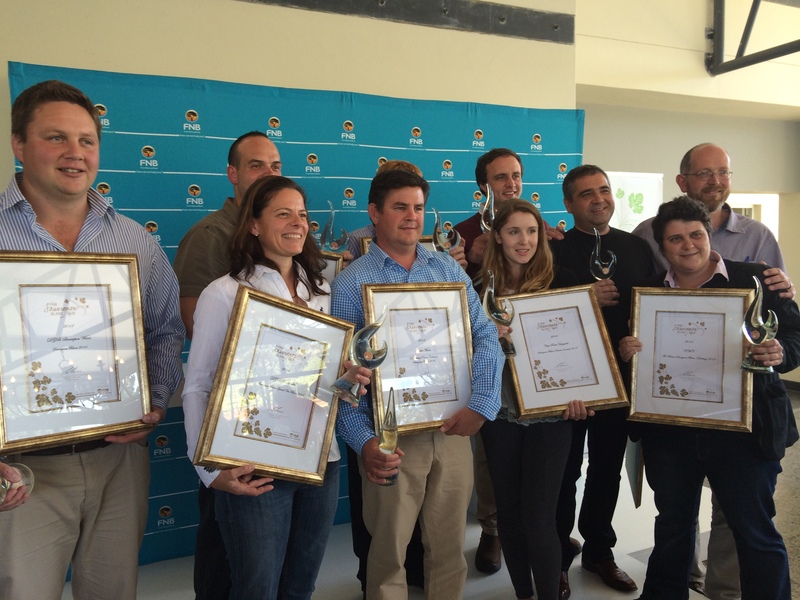 It was the second year in which the Christian Eedes Cabernet Sauvignon Report was presented. Kriel said he had done a Google search about Cabernet Sauvignon, and to his surprise found that Wikipedia did not mention South Africa in its first paragraph. He learnt about the wide range of terroirs and climates in which the grape variety is grown, from Canada down to the 15° latitude in Argentina. South Africa is only referred to in the New World wines section, and then only Stellenbosch and Constantia are mentioned. He referred to the markets being in terrible chaos on Thursday, and he was happy to escape the office to not see what was happening on his computer screen. Having recently been to New York, and paying $89 for a reasonable Californian, he said that we should be grateful for the affordable and good quality wines which our winemakers produce. He justified the investment by Sanlam Private Investment in The Christian Eedes Cabernet Sauvignon Report in that their clients love wine and have a passion for them, as do the leaders of businesses! Christian Eedes thanked the wine writers present for spreading the word about his 2012 Cabernet Sauvignon Report, allowing him to renew the relationship with his sponsor. 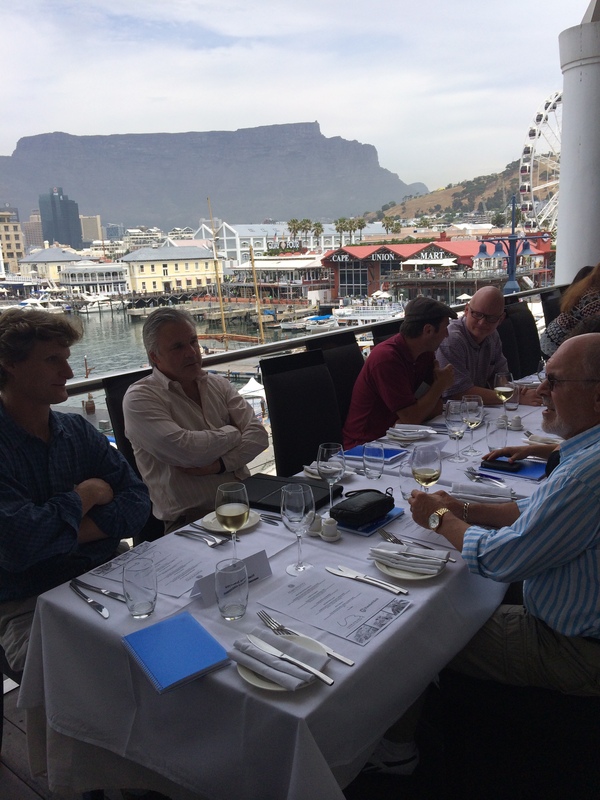 Using the same judges Roland Peens of Wine Cellar and James Pietersen of Balducci’s, sixty Cabernet Sauvignons were evaluated. 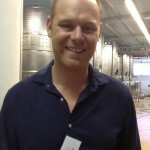 He announced that Wade Bales has put together a special Cabernet Sauvignon Top 10 pack, based on Eedes’ Report results. Bales could not tell me how much he will charge for the special pack. In introducing the Top 10 list, Eedes said that the 5 point scale had been used for the ratings (instead of the 100 score which he has recently moved to for his wine evaluations), and that within a star band, the estates are listed alphabetically on his Top 10 list. The panel had found the local Cabernet Sauvignons, the second most planted varietal locally, ‘on the whole, very impressive in quality…characterised by richness and weight‘. He added that while Cabernet Sauvignon ages well mainly due to its high level of tannins, wine drinkers are placing less value on this characteristic. ‘Winemakers seem to be going to great lengths to emphasise fruit and the resulting wines are tending to be ever riper, sweeter and more alcoholic. 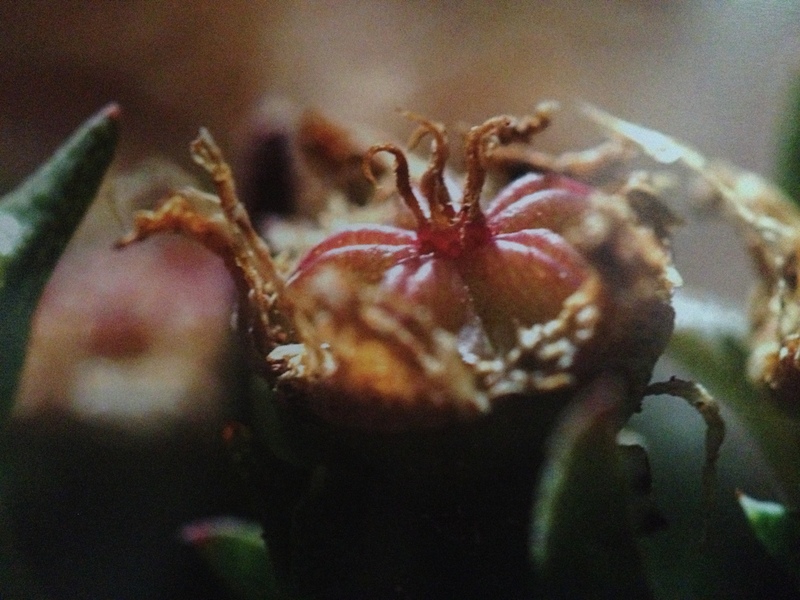 The best examples display fruit concentration but retain shape and form’. The panel had found some ‘clumsy addition of tartaric acidity‘, done to add freshness, but it resulted in sourness in some instances. * 5 stars: La Bri 2009 (Irene Waller was the proud recipient), and Le Riche Reserve 2010. * 4,5 stars: Graham Beck The Coffeestone Cabernet 2011, Guardian Peak Lapa 2010, Rickety Bridge Paulina’s Reserve 2010, Rudera 2011, Springfield Méthode Ancienne 2006, Thelema 2009, and Waterford 2009. 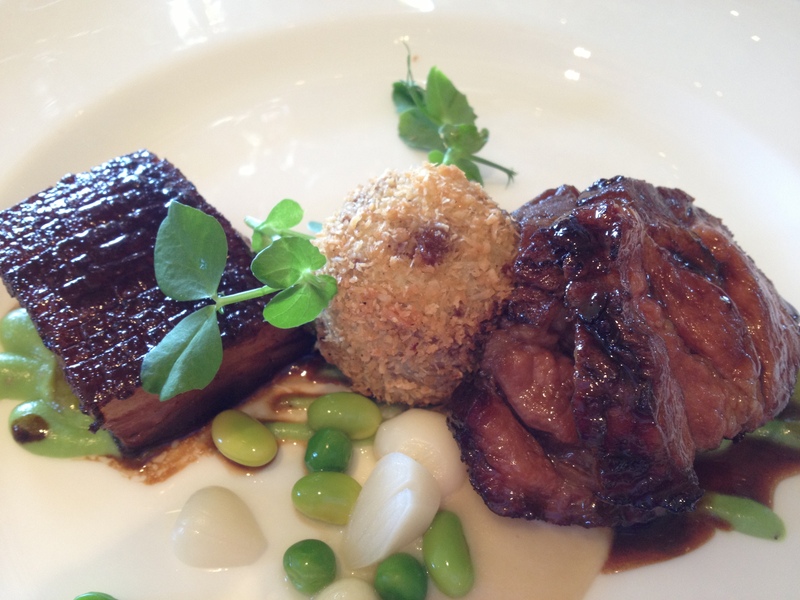 * 4 stars: Rust en Vrede 2010. Burrata served a selection of tasty canapés, including porcini and cheese sticks; sirloin and radicchio crostini; fried crumbed smoked mozzarella, short rib and red pepper risotto balls; and toasted brioche with chorizo, green olive and mint purée. 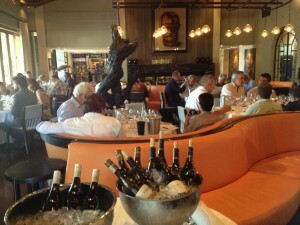 The restaurant had been cleared of all its table and chairs, to allow the top ten Cabernet Sauvignons to be set up for tasting after the announcement of the top achievers. 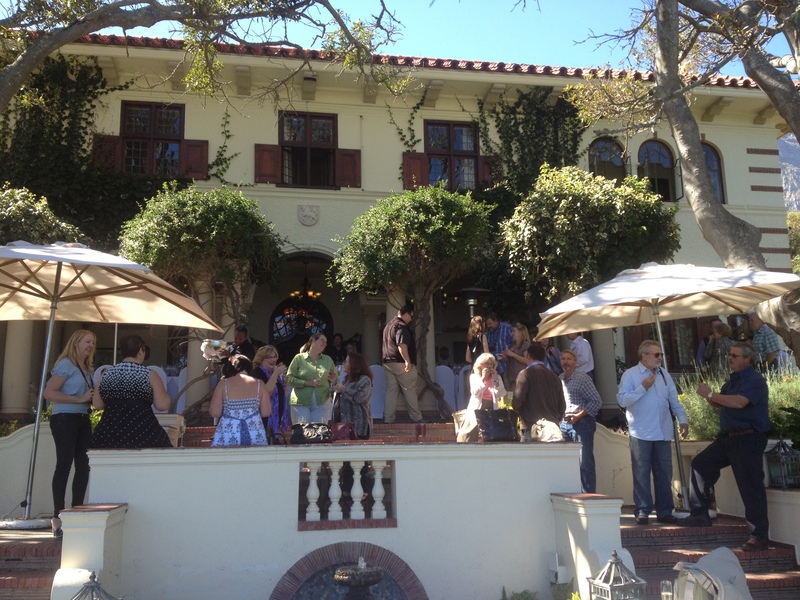 It was a treat to catch up with a small select group of ten winemakers, and share their news. Erika Obermeyer was still excited about her recent trip on the Queen Mary 2 from Durban to Cape Town, spending one day giving lectures to the cruise guests. 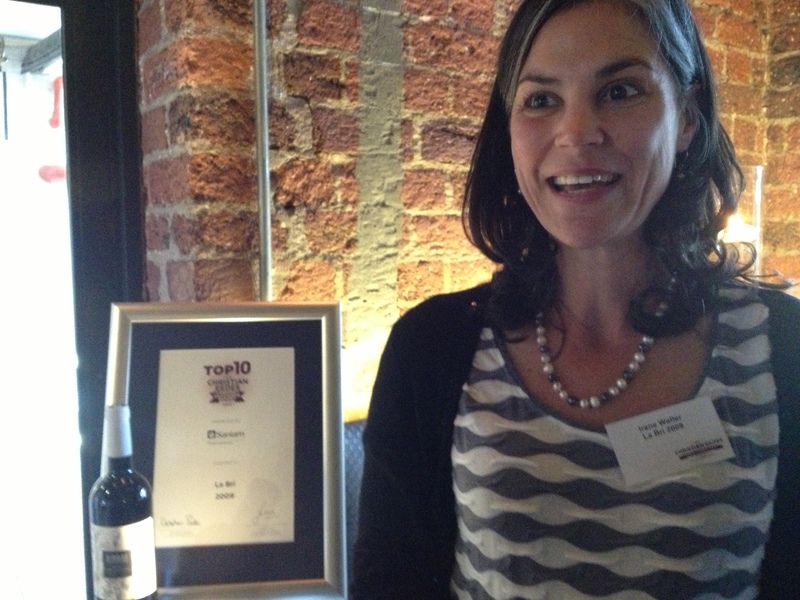 Irene Waller was excited for Franschhoek (she heads up the local Vignerons association) that two of the top 10 Cabernet Sauvignons are from the wine valley, which is receiving increasing recognition. Disclosure: We received a bottle of Graham Beck The Coffeestone Cabernet 2011 as part of the media pack. 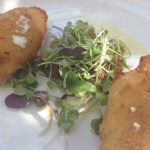 Burrata, The Old Biscuit Mill, 373 Albert Road, Woodstock, Cape Town. 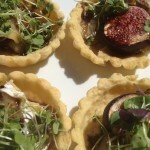 Tel (021) 447-6505. www.burrata.co.za Twitter: @BurrataSA Monday – Saturday, Lunch and Dinner. 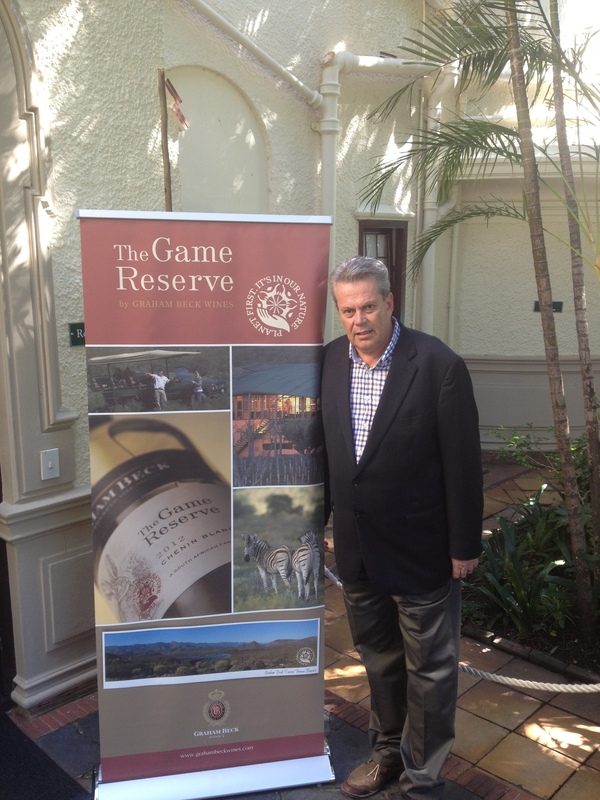 Graham Beck Wines launches The Game Reserve, with focus on sustainability and conservation of nature! 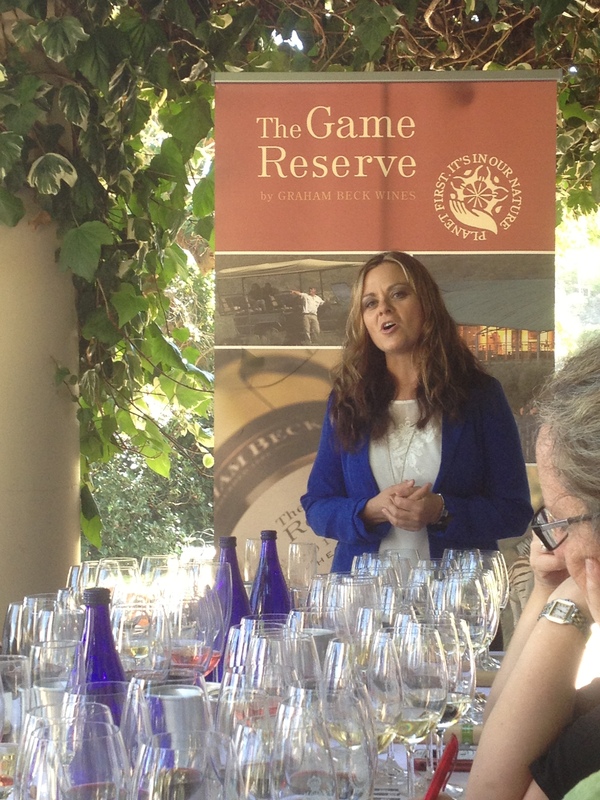 The launch of Graham Beck Wines’ The Game Reserve range at the Camps Bay Retreat last week was admirable in demonstrating the wine company’s passion about restoring and conserving the environment and producing world class wines in harmony with nature. It also was a tribute to the late Mr Graham Beck, who was a passionate conservationist. In welcoming the guests, Graham Beck Enterprises CEO Chris du Toit said that his company is focused on sustainability on three fronts: social upliftment, environmental care and conservation, and economic. Sustainability is an integral part of what the company stands for, ‘it comes from within’, he said. The sustainability work done to date has been kept low key. In Robertson the Graham Beck Private Nature Reserve was created in the ‘Nineties, to reverse the adverse effects of 200 years of agricultural grazing. The Madeba farm belonging to the Becks is situated in the Succulent Karoo Ecosystem, with 1500 species of vegetation. 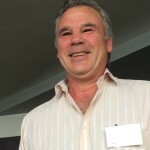 Graham Beck was the second Biodiversity and Wine Initiative (BWI) biodiversity champion, and is one of 28 such wine farms, while the Graham Beck farms and cellars have been awarded Integrated Production of Wine (IPW) Conformance Certificates, to reflect that they grow grapes and produce wines in an environmentally sustainable manner. Four times more Graham Beck land in Robertson is conserved relative to it being used for wine and stud horse farming. 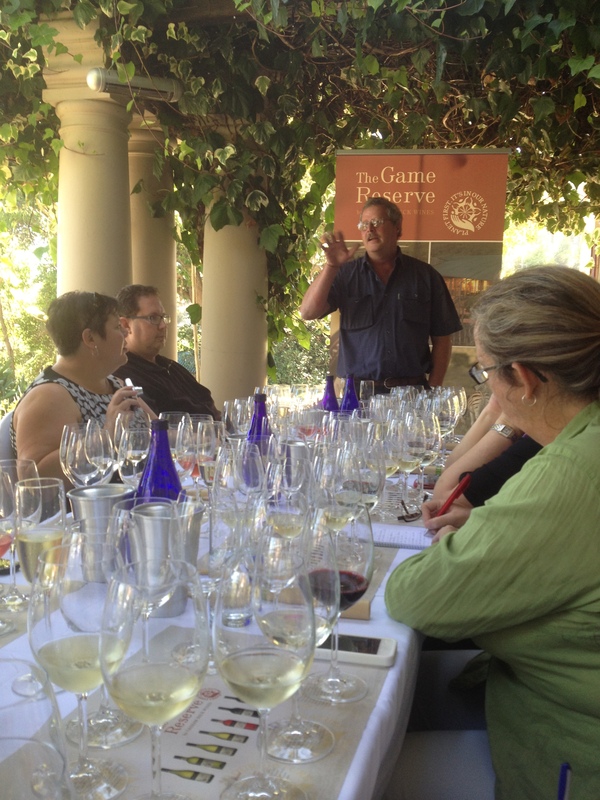 It was a brainstorming session between Pieter Ferreira, the Graham Beck Cellar Master for Sparkling Wines, and a group from the Walt Disney Company that led to the creation of the Gamekeeper’s Reserve, a Cabernet Sauvignon made exclusively for Disney Resort restaurants. The wine was so successful that its distribution spread across the USA, and Chenin Blanc was added to the range five years later. 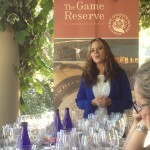 In 2009 the name of the range was changed to The Game Reserve. 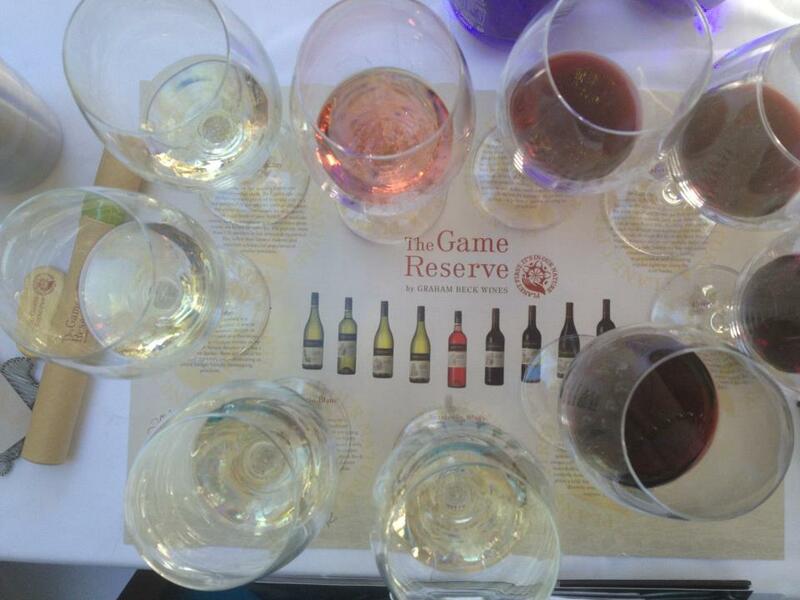 At CapeWine 2012 the full range of nine varietals in The Game Reserve range was launched to the trade, as well as at ProWein in Germany last month. The launch event last week was aimed at introducing the wine range to wine writers, and to encourage them to help spread the message of sustainability, which is the focus of The Game Reserve range, a story told with particular passion by Erika Obermeyer, Graham Beck Cellarmaster for Still Wines since 2005, and the passionate Conservation Manager Mossie Basson. In launching The Game Reserve range, each varietal was ‘paired’ with an indigenous animal or plant conservation project in the Robertson area, where Graham Beck Wines is situated in the Cape Floral Kingdom, an ecological hot-spot with about 8500 plant species. Mossie Basson was previously with the Department of Nature Conservation, and now heads the conservancy work at Graham Beck Wines, tackling a number of conservancy projects, including clearing alien vegetation, stabilising eroded areas, and re-planting indigenous plants on 1885 ha of land registered with Cape Nature as a voluntary conservation site. They have been joined by 27 neighbouring farms to create the Rooiberg Breede River Conservancy, now covering 13500 ha, an important achievement in bringing the community together. Mossie discovered a rare vygie, unique to the Graham Beck Private Reserve, which has taken three years to be registered. It has been named ‘Esterhuysenia Grahambeckii’, in honour of Mr Beck. The rare vygie has become the inspiration for the logo created for The Game Reserve range, symbolising ‘restoring harmony and natural balance‘, and its pay-off line is clever:‘Planet first. It’s in our nature‘! The labels for the range are printed on recycled paper, and contain the BWI logo, the envirolabel icon, the QR code, information about the fauna and flora ‘paired with each of the wines’, a description of the wine, tasting notes, food pairing suggestions, and health and safety guidelines. Mossie is a raconteur, talking passionately without a note about the nine conservation projects, and could have spoken the whole afternoon, so dedicated is he to his work to help create a sustainable presence not just now, but also in the future. He shared that by 1978 the Cape had lost 61% of its floral kingdom, the carbon dioxide levels being higher than ever, being ‘man induced‘, he said. He added that the threat of a shortage of quality water is a concern, 700 liters of water being needed to grow 1 kg of tomatoes. He said that humans must stop being ‘parasites to nature‘, and should become ‘enzymes‘ and stewards of nature, looking for creative ways to manage the biosphere. 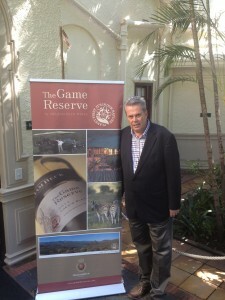 The Game Reserve wine range is the first to be associated with a private nature reserve, and the brand is ‘an environmentally responsible inspired wine brand for wine lovers who care about sustainability in order to leave a lasting legacy for generations to come’, says the brand book for The Game Reserve range. Mossie added: ‘Each bottle of The Game Reserve must be the catalysts to spread the message about sustainability to the rest of the world‘. * Sauvignon Blanc 2012: one can smell South Africa and the vineyards in this wine, for which the grapes predominantly are from Firgrove outside Stellenbosch, but also from Groenekloof in Darling. This is Erika’s favorite variety, with green and tropical flavours, describing her like a lady that smiles all the way. Only grapes grown in an area in which one can hear the ocean are used to make this varietal. The Fish Eagle is associated with the varietal, the highest flying predator, which keeps smaller birds away from their ripe grapes. * Chenin Blanc 2012 : This is Erika’s ‘good mood‘ wine, and she is delighted that the interest in Chenin Blanc is growing locally and internationally. She described it as a ‘Cinderella’ wine, needing to be ‘dressed up’ to make her popular. Grapes from 42 – 48 year old bush vines are used, coming from Agter Paarl, and are ‘very happy vineyards’, used to the warm weather in this region. Only 5% is barrel fermented, for mouthfeel. The Riverine Rabbit is associated wit this varietal, the most endangered species in our country, with only 150 breeding pairs left in our country, according to a WWF count, and has been found to live in the Graham Beck Private Nature Reserve. 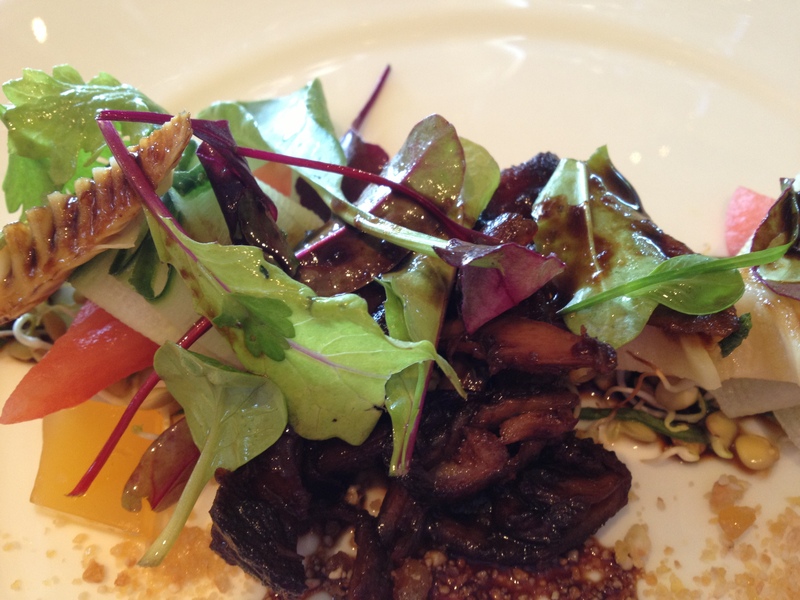 * Viognier 2010: The grapes come from Robertson with lots of sunshine. When the grapes taste like Shiraz, they are ready to be harvested, being hand picked, Erika said. Only 20% of the grapes were fermented in 2nd fill French oak, for creaminess and mouthfeel. 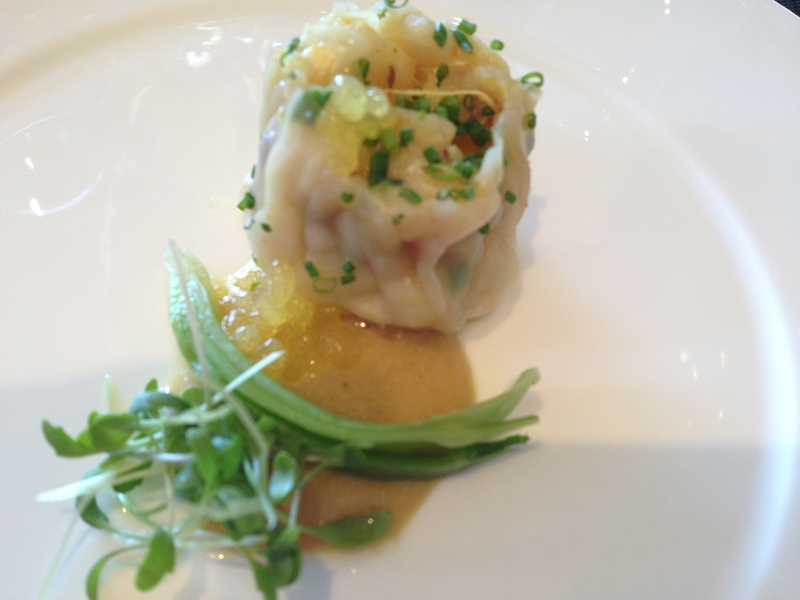 It has peach and citrus flavours, and goes well with spicy foods. The Honey Badger has been paired with this varietal, and Mossie called them the ‘engineers in nature’, in that they dig holes, which offer a home to many other insects. They love honey, and the beekeeping on the estate is therefore badger-friendly. * Chardonnay 2010: Grapes come from Robertson, which has limestone soils, giving the wines ‘incredible flavours and freshness‘, said Erika. 30% was fermented naturally in barrel and tank, and there was no malolactic fermentation. The wine spent 11 months in the barrel, with a weekly batonnage. Citrus aromas. The nature conservation project linked to this varietal is the Cape Eagle Owl, which catches mice and other rodents. Often hit by vehicles, 120 perches have been built for them in the Graham Beck vineyards, to prevent their demise. 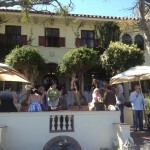 * Rosé 2012: Grapes from 5 – 17 year old trellised vineyards in Robertson, and hand harvested. This wine has fresh and fruity aromatics, and is easy drinking, made in a white wine style using Shiraz grapes, with a ‘tiny dash of Pinot Noir‘. 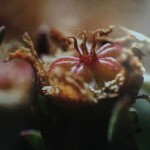 The rare vygie is the conservation project linked to this cultivar. * Pinotage 2010: Erika said that she is proud that this variety has sorted out its negative image, as it is a unique variety, which she has made to be soft and sweet, with strawberry, cherry and plum flavours, and soft tannins. Grapes come from Franschhoek, bushvines from Agter Paarl, and Robertson. The Bat Eared Fox is the conservation project for this variety, which also helps work the soil. It is protected from being killed, due to its close resemblance to a jackal. * Merlot 2011: This is a tricky variety, which Erika described as a ‘fragile and feminine wine’, and is fresh, with soft tannins. Handpicked grapes come from Firgrove’s coffeestone soils predominantly, and from Franschhoek. The Cape Clawless Otter is the nature project for this variety, and the restoration of the Vink River has created a safe home for the species in the nature reserve. * Shiraz 2009: The grapes come from Firgrove, with spicy white pepper, black olive, cherry, berry, and cranberry flavours. The roots of these vines go down 5 meters into the 500 million year old coffeestone soils, seeking the moisture deep down, being the ‘Energade’ for this grape variety, Erika said. The Eland is linked to this cultivar, an animal needing a lot of space, being the largest antelope in Africa, and is well adapted to the Karoo. * Cabernet Sauvignon 2011: This wine is a blend of Robertson, Darling, and Firgrove handpicked grapes, the wine having tobacco spice and fruity flavours, matured in French oak for twelve months, a wine ‘more serious in style’, and which delivers on tannin structure. The Leopard project has studied, via cameras, the Cape leopard, half the size of the Kruger Park ones, to analyse which ‘corridors’ the leopards use to meet and ‘dance’, so that they can plan their farming activities around these, Mossie explained! Seven leopards have been recorded as roaming in the area. 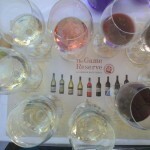 Most of the closures on The Game Reserve range are screw caps, the wines designed to be sold in specialist wine stores and by the glass in restaurants. 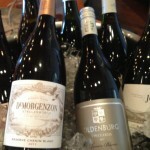 The range is well-priced at about R60 for the white wines and R80 for the red wines. Erika explained that while some of the white wines have been made at the sister Steenberg cellar, they will make all their red and white wines from a rented facility in Stellenbosch from next year. 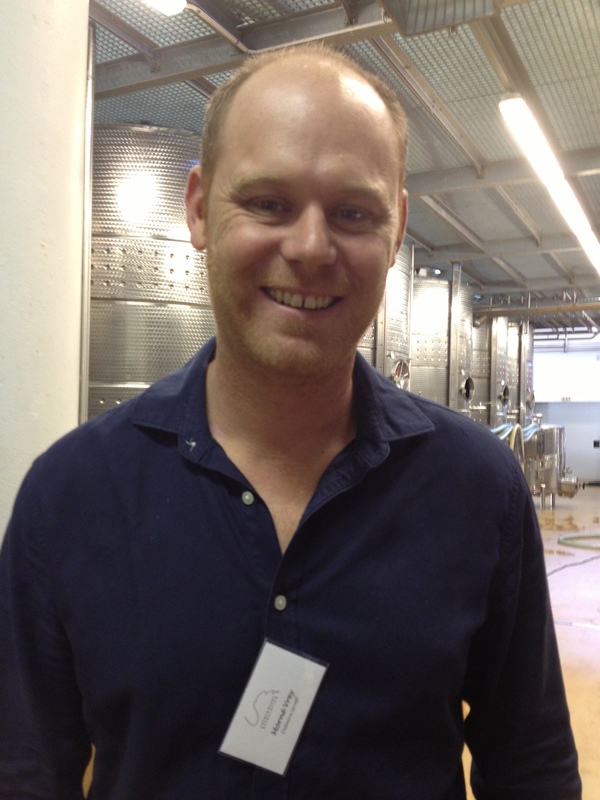 Graham Beck Wines sold its Franschhoek estate to neighbouring Antonij Rupert Wines about two years ago. The building housing the Camps Bay Retreat was erected in 1929, and is named Earl’s Dyke Manor, originally owned by the Knacke family. A partnership led by Maree Brink, owner of the Village & Life Group, took over the ‘custodianship’ of the property in 2002. Head Chef Robyn Capendale has been at the hotel for the past three years, was the Young Chef of the Year 2010, and had the amazing experience of being selected to work with Chef Heston Blumenthal at the three-star Michelin UK restaurant The Fat Duck in a five-week placement, chosen from thousands of applicants. She learnt his ‘multisensory perception’ approach to cooking, the study of ‘how the brain influences our appreciation of food‘. 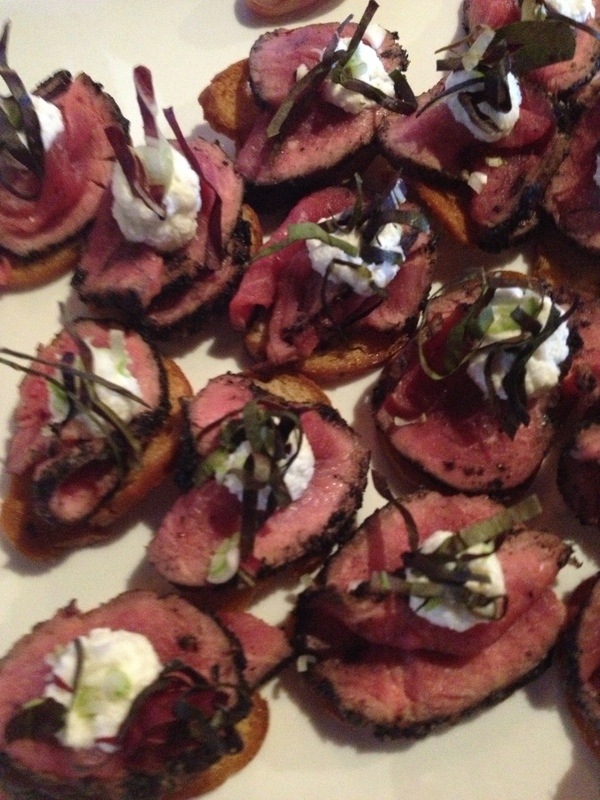 Chef Robyn prepared the Graham Beck function as her last event, before she moves into her new position as the Village & Life Executive Chef responsible for the catering at all the properties in the Group. 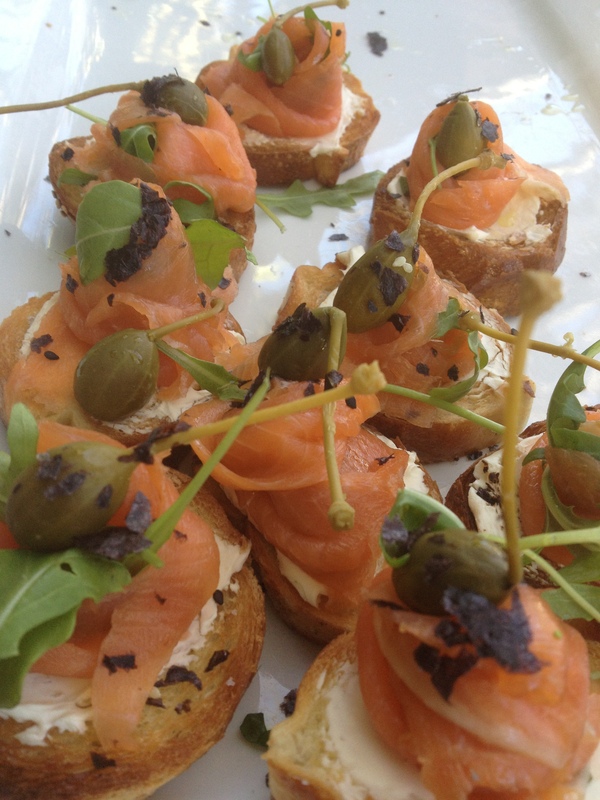 When we arrived we were served the Graham Beck Brut Blanc de Blancs 2008, accompanied with canapés prepared by Chef Robyn and her team: oysters with ginger and gooseberries, and smoked salmon, cream cheese and caper bruschetta. After the wine tasting we vacated the tables, so that the staff could set up the tables for lunch. This afforded one to step down to the garden again, where tables had been set up to taste more of the wines in The Game Reserve range. 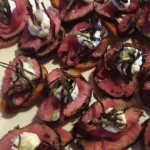 More canapés were served, being delicate fig and camembert tarts, and rare roast beef tagliata topped with parmesan shavings. 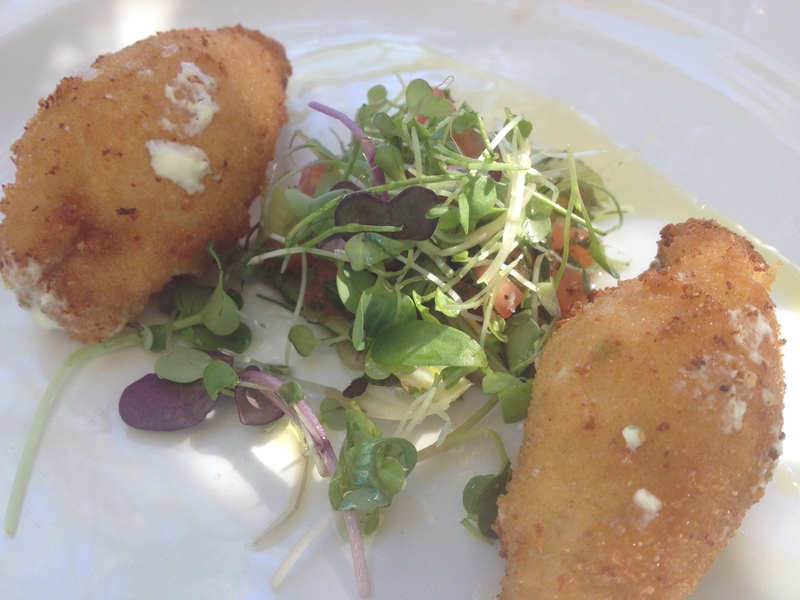 The starter was unusual, being deep fried crumbed cream cheese and fresh herb filled calamari tubes, served with a fennel bulb and tomato salad, which was paired with a choice of The Game Reserve Viognier 2010 and Chardonnay 2010. Anel Grobler sat next to me, and as she is allergic to calamari, had a wonderful looking replacement asparagus, ham and poached egg starter served within ten minutes. 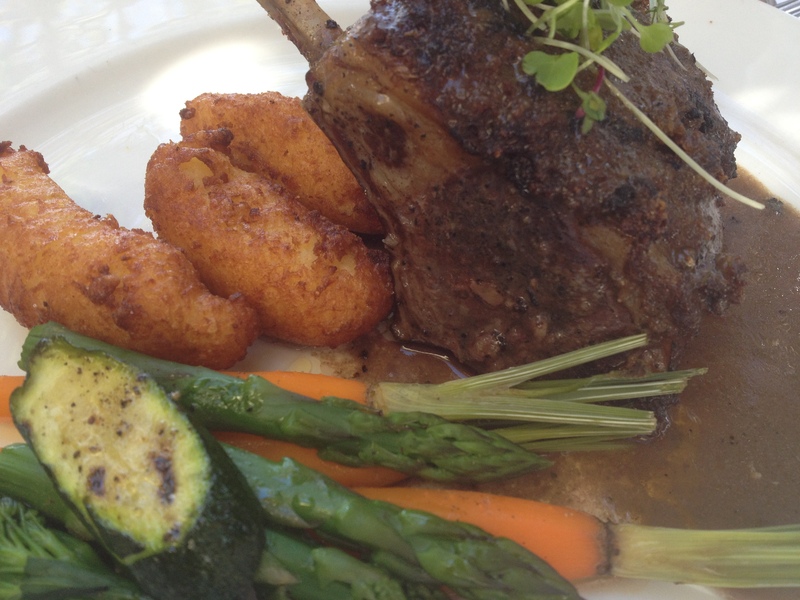 The main course of slow cooked rack of Karoo lamb, poached for eight hours Chef Robyn revealed, was served with rosemary jus, pomme dauphine, carrots, asparagus, and courgettes, and was paired with a choice of The Game Reserve Merlot 2011 and Shiraz 2010. 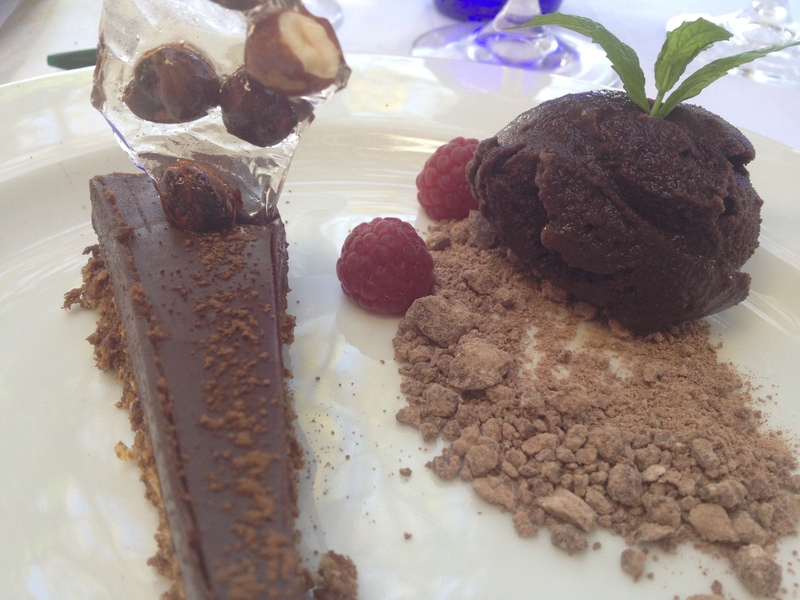 The dessert was a trio of chocolate delice, chocolate soil, and chocolate sorbet, topped with a hazelnut tuile, and was paired with The Game Reserve Cabernet Sauvignon 2011. 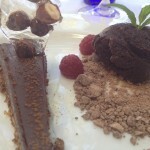 A further treat was coffee served with petit fours of chocolate and pistachio shards, homemade toffee, and coconut ice. It was a long relaxed afternoon with a perfect setting, perfect wines, perfect food, and perfect company, perfectly organised by the Graham Beck Marketing team headed by Etienne Heyns (main photograph), and its new Public Relations agency Waterford Communications. The sustainable approach to the creation and launch of The Game Reserve is admirable, as is the company’s philosophy: ‘We are consummate caretakers – of our wines, people, environment, customers and consumers. Nothing less will do’! Disclosure: With our media pack we received a rabbit wire art keyholder, a set of recycled pencils and pens with a wooden sharpener, a vygie plant, and a bottle each of The Game Reserve Chenin Blanc 2012 and Shiraz 2009. 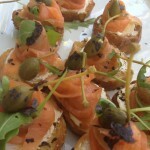 Bilton Wines: wine-making with a difference! I have driven past Bilton Wines on my way to Rust en Vrede and Haskell Vineyards a number of times, but had never stopped to visit their Tasting Room, even though their collection of old-timers catch the eye. An invitation by the wine estate to attend a tasting of their wines, paired with dishes prepared by ‘pop-up’ Chef Craig Cormack from Sofia’s, was an excellent opportunity to hear how its winemakers go about their winemaking so differently. We were welcomed in the Tasting Room with a massive fire burning in the fireplace on a very wet Winelands day, by owner Mark Bilton, referring to us as ‘blockers’, which caused a laugh, because of the double meaning implied, especially due to many bloggers blocking each other on Twitter! I was told that he is British in origin, has American connections, but lives on the estate. His grandfather, Sir Percy Bilton, was a well known philanthropist, who came to South Africa in 1938, and bought the wine estate at the end of Annandale Road ten years later. It is one of the largest wine estates in the country, 377 hectare in size, but only 20 % of the land is planted to vine, the rest dedicated to biodiversity, being fynbos. The distance between the cellar and the highest point on the wine estate is 680 meters. 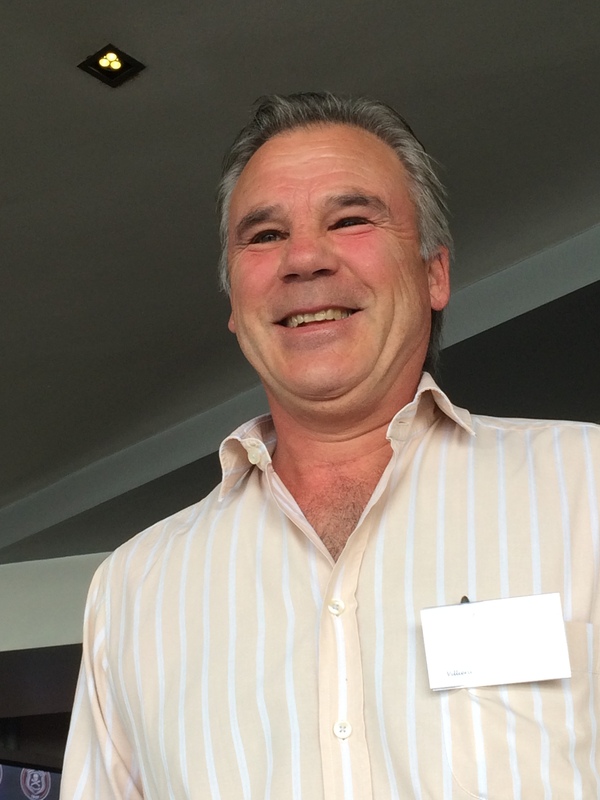 Winemaker Rudi de Wet believes that Bilton Wines is the largest wine estate in private ownership. Rudi has been on the wine estate since 2005, having studied at Elsenburg, and then setting up Ernie Els Wines and Webersburg close by. 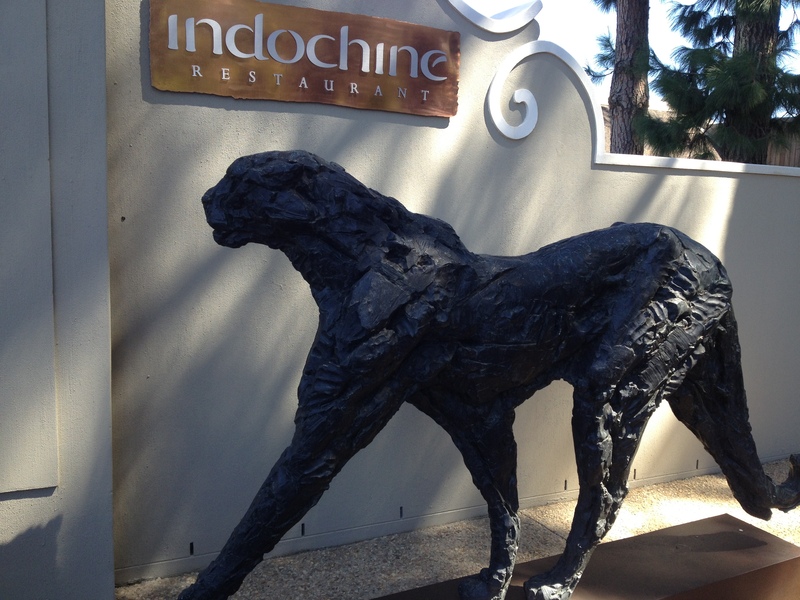 From there he moved to Meerlust, working on their iconic Rubicon. Elizma van der Mescht is Rudi’s assistant winemaker, having also studied at Elsenburg, joining Bilton Wines and gaining experience by working a harvest in St Émilion. We chatted about women winemakers, and Elizma said that she was one of seven female students in her class of 20. The physical challenge of the harvest, including 20 hour days during the harvest, is a barrier to entry for women in this career, but was no deterrent for Elizma. 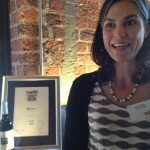 She believes that women winemakers are perfectionists, and therefore very good at their jobs. She has seen an increase in the number of female students from Italy and France, who come to Bilton Wines to help them with their harvest. Elizma admires Erika Obermeyer from Graham Beck Wines, and Ronel Wiid, winner of the first woman winemaker of the year competition and now at Bartinney. We moved to the wine cellar, in which a long table had been set, beautifully and simply decorated by Marketing and Sales Manager Cindy Eveleigh, with vases of fynbos, corks in glass jars, labels on each glass, and name cards. Rudi introduced the Bilton Merlot 2008, and shared with us that they harvest 100 tons of grapes, and all wines are barrel matured, using 25 different barrel types from 25 coopers. Rudi explained that the wood used to make the barrels by each cooper is different, influencing the taste of the wine, and he blends the wines matured in the 25 barrel types over two years, to achieve the perfect wine. Interestingly, 80% of the production each year goes into new barrels. Rudi’s previous boss from Meerlust, Giorgio Dalla Cia, is a consultant to Bilton Wines. Rudi expressed his passion for Merlot, not the easiest wine to make, its grapes either giving a fresh and green taste or a plummy taste. The thinness of the skin, the sugar, and eleven other parameters are evaluated to select the right time to harvest, night harvesting being preferable. To aid oxidation, Rudi adds 3% Cabernet Sauvignon. Chef Craig and his team prepared a beautiful study of beetroot, with a curry-flavoured ice cream, risotto, and purée all made with beetroot, toasted caramelised walnuts, and sprinkled with truffle oil. 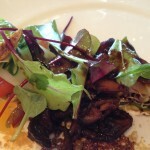 The earthy Merlot (R 99) was a good match with the Beetroot starter. The second wine we tasted was the Bilton Viognier, and Rudi explained how he makes this wine look and taste different to any other local Viognier, receiving the blessing from Mr Bilton to experiment and try out new things. Rudi introduced the wine as one he had no intention to make, but explained that a winemaker spends his or her free time by reading international wine magazines. It was in one of these that Rudi read about Josh Gravner from Northern Italy, and his Viognier, which he matures in clay vats under the soil, fermenting the grapes with their skins, ‘unheard of in New World wine-making‘, Rudi said. Rudi has used this €1000 a bottle wine as his benchmark to produce his Viognier, sold at R250 per bottle in the tasting room. It was first produced in 2008, and only 10 barrels are produced every year. They select berries, and not bunches, and the skin contact is 18 days, compared to the usual 6 hours. Rudi explained that there are no boundaries in making Viognier. All of the wine is matured in barrels, 25% of them made from acacia wood, a wood type normally used to make grappa, because it has fewer tannins, and the balance in oak. Craig paired the wine with a strongly flavoured Chakalaka sauce served with a delicious pork belly, pap, bok choy, and a jus to which he had added star anise. 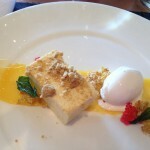 The biggest surprise of all was Chef Craig’s third course, for which we were expecting a dessert. In the mould of doing things differently, like Bilton Wines does in its winemaking, Chef Craig created intrigue when they served each guest a platter containing three bowls, with a raw egg, a mushroom, a piece of bacon and steak, and a tomato. Then the creative chef arrived with hot Himalayan salt blocks, which Chef Craig smeared with olive oil, before each guest prepared their own bacon and eggs! 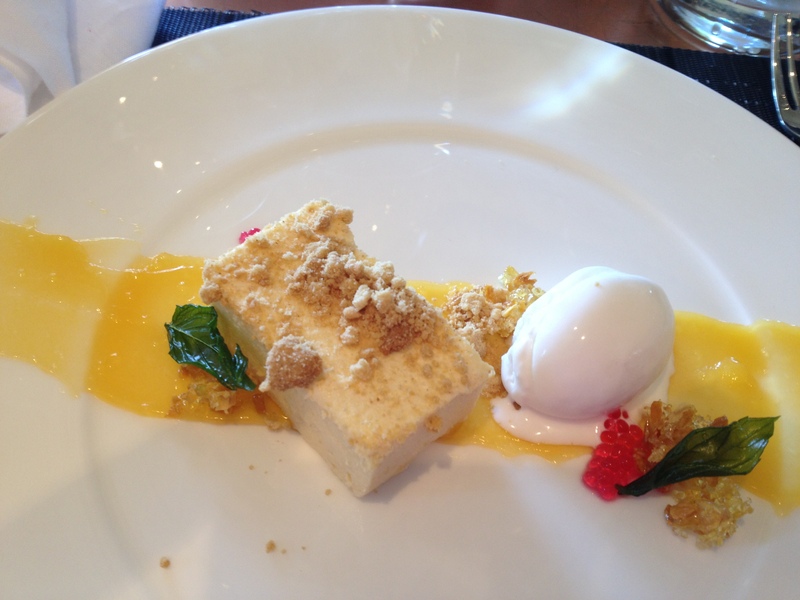 The steam from the preparation reminded one of the smoke created with liquid nitrogen in fine-food cuisine. The salt contained in the blocks was a natural flavourant for the food. 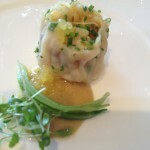 I added some Viognier to the egg, and Rudi was most intrigued by this creative use of his wine! 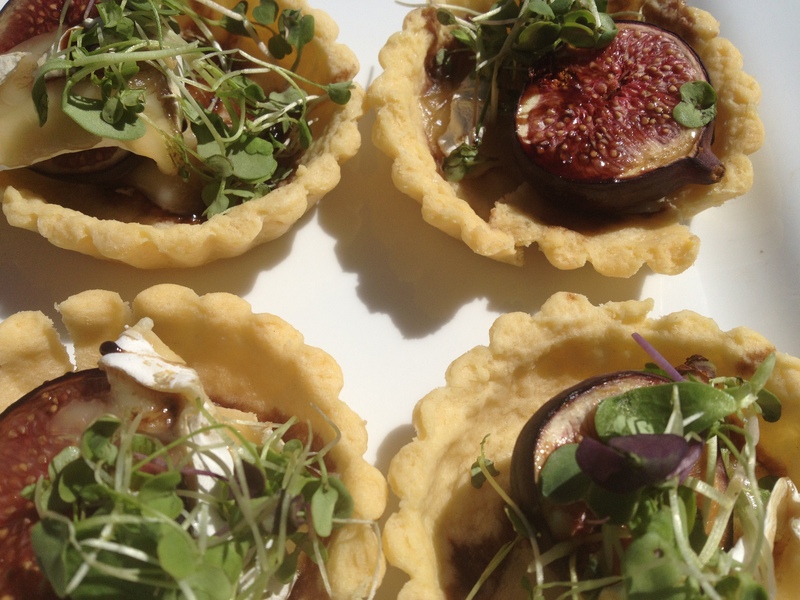 Whilst on the egg theme, Rudi explained that all red wines have too much tannin, and therefore all winemakers add proteins (gelatine, but more often powdered egg white) to soften the tannins. He adds 1 egg white per 300 litre barrel, whereas the French winemakers are inclined to add six egg whites for the same volume, in order to clarify the wine. Locally wines are filtered, for clarification. Rudi explained that making a screw cap takes 24 times more greenhouse gases than a cork, and therefore one can be sure that all Bilton Wines have corks. 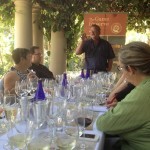 I liked Rudi’s description of vineyards being ‘oxygen factories’. Rudi also burst the bubble on sulphites, saying that every grape has them naturally, and therefore every wine too. Many wines claim to not add any sulphites, but that does not make them sulphite-free, he explained. We had the Bilton Sir Percy (R149) with our ‘breakfast’, a Bordeaux blend first made in 2004. Its current 2007 vintage has 69% Cabernet Sauvignon, 24% Merlot, and 17% Petit Verdot. Once again Rudi uses 25 different barrel types in which to mature this wine, which spends about two months on skins, which is the way in which it is done in Burgundy and Bordeaux, Rudi explained. Other wines in the Bilton range are Shiraz 2008 (R99), Cabernet Sauvignon 2008 (R99), Sauvignon Blanc 2011 (R59), Merlot 2008 (R99), Pinotage 2009 (R99), and the Merlot-dominant Matt Black blend (R79). Cabernet Franc has been harvested this year for the first time, and its first bottled wine of this variety will be available in five years. Interesting is that Bilton sells 1 million tons of salt to Oranje Soutwerke a year. In the Tasting Room Bilton also sells delicious chocolate slabs, made by Marionette in Knysna and costing R35 each, and are meant to be paired with their wines, the Dark Chocolate Espresso paired with their Cabernet Sauvignon, and the Milk Chocolate Cape Malay Spice paired with their Shiraz. The Cape Malay Spice chocolate has an intriguing gingerbread/Lebkuchen taste, with cardamom, cinnamon, cloves, and nutmeg. Vintage D’Vine restaurant serves light meals prepared by Nella and her staff, and includes sandwiches, salads, boboties, lasagne, chicken pie, and burgers. Bilton Wine Estate, Annandale Road, Stellenbosch. 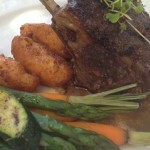 Tel (021) 881-3714. www.biltonwines.co.za Twitter:@BiltonWines. Tuesday – Sunday. 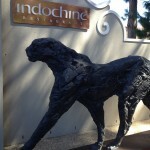 Wine tasting R35, chocolate and wine tasting R50. Vineyard walk free.